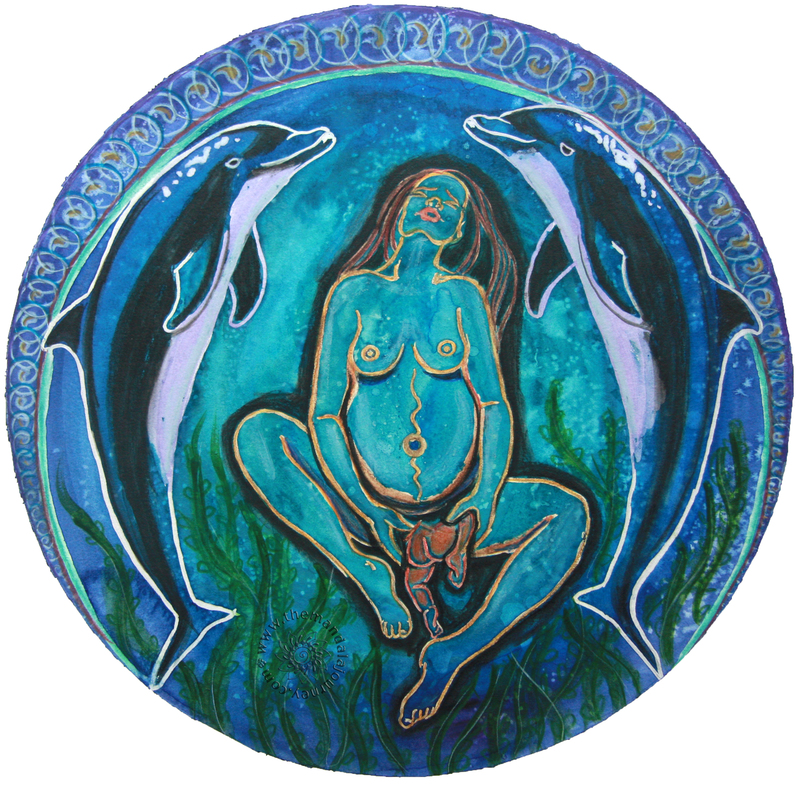 This piece was commissioned to be a gift for a wonderful OB here who offers mamas the opportunity to birth their breech babies vaginally. 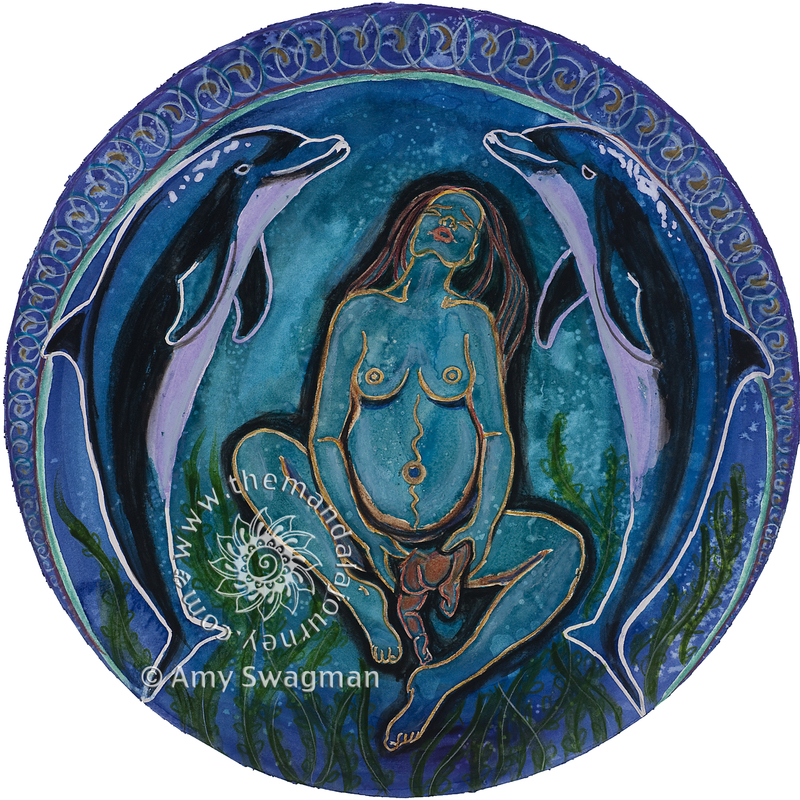 The dolphins were included because dolphins give birth breech, then the “midwife” dolphins take the new babe up to the surface for its first breath. A big thank you to Dr. Hall!